A beautiful statement necklace for Yogis, reiki practitioners and Chakra healers! The rainbow of faceted, glass crystals makes this necklace coordinate with almost any outfit. 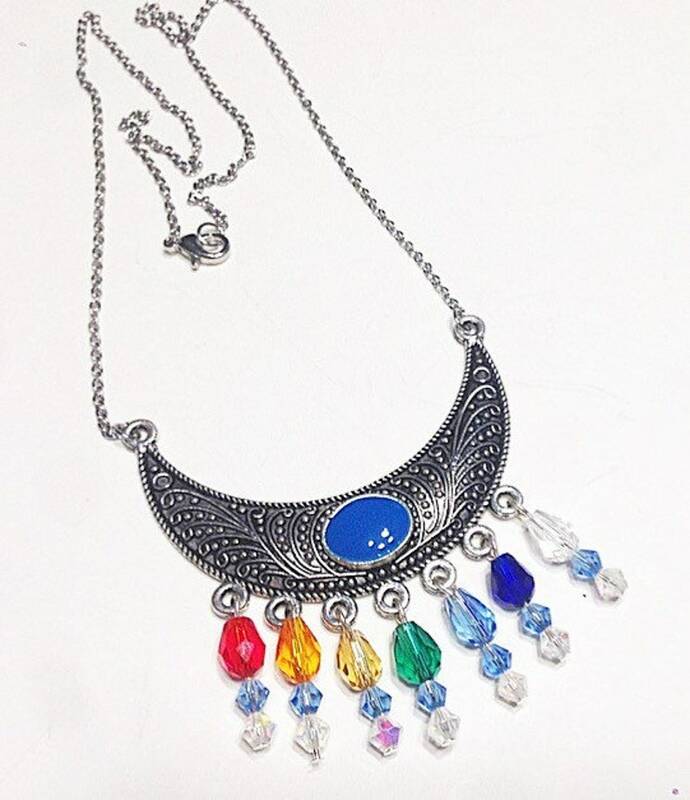 The base is a detailed metal crescent moon with a blue stone, with individual crystal drops representing the seven main chakra colors. A stainless steel chain and lobster clasp complete this 20 inch statement necklace.